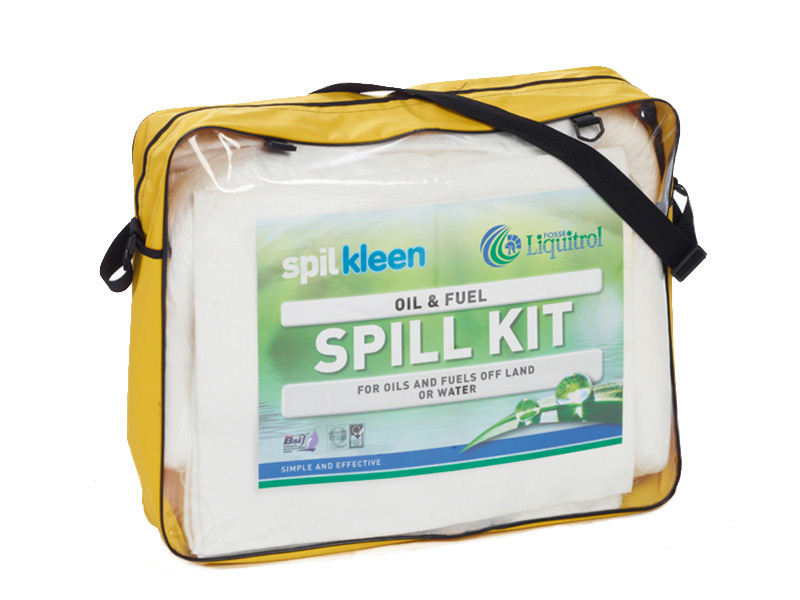 What is the purpose of the 50 litre oil and fuel spill kit? The 50 litre oil spill kit from The Workplace Depot is a popular choice when it comes to portable spill kits. The durable and water resistant bag comes with an easy to open and close zipper so the kit is easy to use in an emergency. The built in shoulder strap makes for easy, effortless carrying and also means the 50 litre oil spill kit can be mounted on a wall. It’s also ideal for behind truck seats and other areas where a low profile is required. Where can a 50 litre oil and fuel spill kit be used? This economical 50 litre oil spill kit means it won’t break the bank when you need to have several spread out around your warehouse, workshop or factory. 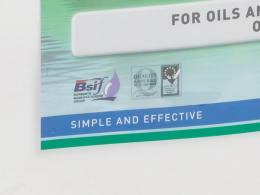 This kit is only suitable for oil-based spills. 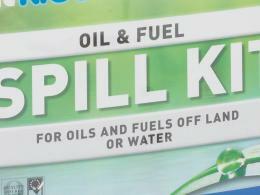 Who might use the 50 litre oil spill kit? Anywhere where oil could spill, be it factories, warehouses, workshops or from trucks, will benefit from having this compact kit close at hand. Order the 50 litre oil spill kit from The Workplace Depot and get free delivery in 5 – 7 working days. 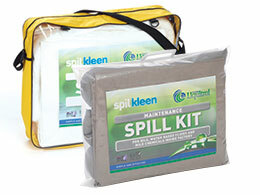 This kit is only suitable for oil-based spills and contains 25 pads, 2 x 3m absorbent socks and 1 x disposal bag and tie. The kit is packed up in a strong carry bag complete with carrying straps. All products from The Workplace Depot carry a one-year parts and labour warranty and we offer a Price Promise to match any price. We also offer an easy exchange/returns policy and accept payment via PayPal and most major credit cards. Talk to customer service should you have any queries, or place your order today!